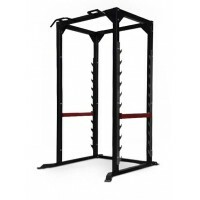 The Free Weight Series Squat Rack is made using oval shaped, heavy gauge steel that is up-to-12mm thick and created for use in all commercial environments. 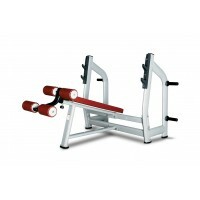 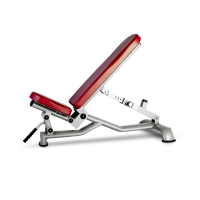 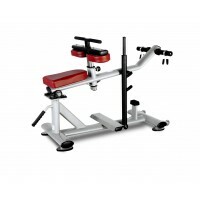 Not only does it have thick heavy gauge bar racking on squats; but this model also comes with racking on the frame for incline, decline and flat bench press positions. 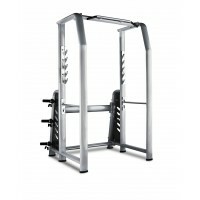 To further improve resistance to scratches, chips, corrosion and general wear and tear, the metal frame is finished with a double coating of electrostatically-applied powder coating.